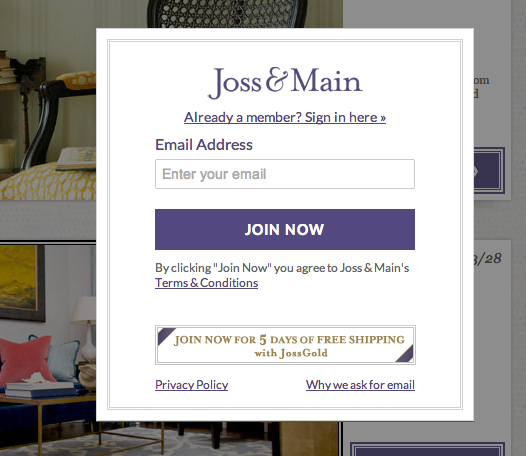 Overlays, screens that appear on top of a web page a visitor is browsing, are taking over as the most powerful way to gather email opt-ins from new visitors. Thousands of sites use them, ranging from publishers such as The Motley Fool, to ecommerce sites like Joss & Main, and even Hilary Clinton’s last presidential campaign site. Generally, a site with an overlay garners up to 400% more email opt-ins than a site that relies on an in-line form will. To put that another way, if your site’s opt-in form gets a .5% opt-in rate now, adding an overlay could bring you a 4% opt-in rate or higher. How can you make your overlays get an even better response rate? Happily, overlays are fairly easy to run A/B tests on. Headline copy tests are just as powerful for overlay A/B tests as they are for landing page tests. Plus, they are the easiest tests to run because you often don’t need to get your tech or design team’s help. Images from WhichTestWon, copyright protected. Version B, with the benefit oriented JOIN AND SAVE! headline garnered 40% more email opt-ins than Version A. Remember, this is a 40% lift in opt-ins from the exact same amount and type of traffic. If your email opt-in list could increase by 40% with a simple headline change, wouldn’t you test it now? Case study #2. Is bigger better for conversions? An overlay greys-out (or whites-out) the page of the site it’s appearing on top of, so you can see a smidgen of the page below it, around the edges of the offer. The question for this test was, how big should your offer be? Generally online bigger is better after all…. Image from WhichTestWon, copyright protected. You’ll notice that both versions had the exact same copy and graphics… even the button size remained the same. The only change was the width of the offer box. The thinner one! Beating expectations, the thinner box pulled in 8.8% more email opt-ins than the wider one. Case study #3. How quickly should your overlay appear? Many marketers personally find overlays annoying, so they want to delay them as long as possible into an average visitors’ arrival. The theory being that if you give visitors enough time to look around and fall in love with your site, they won’t mind the overlay as much. Does it work? We ran this timing test on our own site.To put it in perspective, you should know our average new visit stays for 2.27 minutes. We split our new traffic into thirds and ran the exact same overlay to everyone…just at different times after arrival: 15-seconds, 30-seconds and 45 seconds. And the winner was… 15 seconds! Yes, we were surprised. 15 seconds doesn’t seem like a very long time for a visitor to decide if they like your site enough to sign up for your email newsletter. Obviously our ‘marketers intuition’ was wrong so we’re glad we tested it. The data: the 15-second timing beat 30-seconds by 11% and it beat 45-second timing by 50%. So, if we’d gone with 45-second timing, we’d have 50% fewer newsletter readers. Is faster overlay timing a best practice that will work for your site as well? Only testing can tell. As the data shows, it’s well worth the test. And, luckily many email service providers (ESPs) make testing overlay timing fairly easy – it’s often functionality that’s included free with the service. But you have to use it. Justin Rondeau is the producer of WhichTestWon’s The Live Event, an intensive two-day conference held each May featuring Case Studies and Workshops on how to optimize for better conversions. Econsultancy readers can get $50 off their tickets by using the coupon code Econsultancy at http://whichtestwon.com/TLE. When evaluating the influence and quality of your website, sometimes it helps to take a step back and prioritize the site’s fundamental needs from the ground up. Often times we get so entangled in optimization tactics that we don’t realize that the most vital elements of our websites can be what’s hindering its performance. Before you start investing a lot of time and energy into improving advanced characteristics of the website, it’s important to ensure the most basic needs are met. 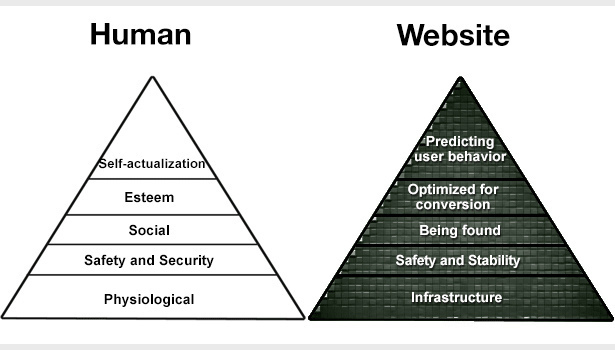 Mapping web optimization priorities in an anthropomorphic manner can help to understand the best way to prioritize website improvements. Search engine optimisation and email marketing are two completely different parts of online marketing mix. 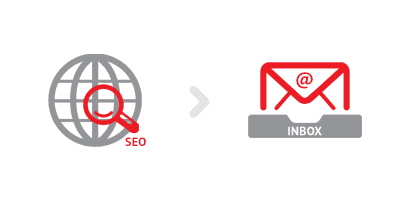 One might say that email marketing is the last resort of the online domain where SEO has no role. But the two aren’t totally unrelated, so what can you learn from SEO to improve your deliverability?